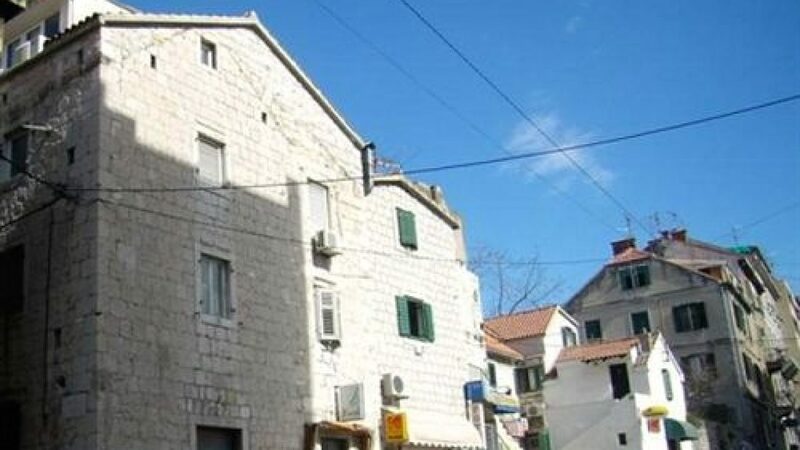 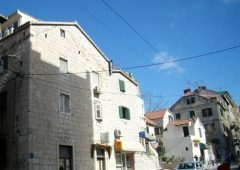 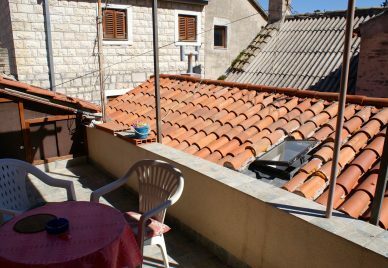 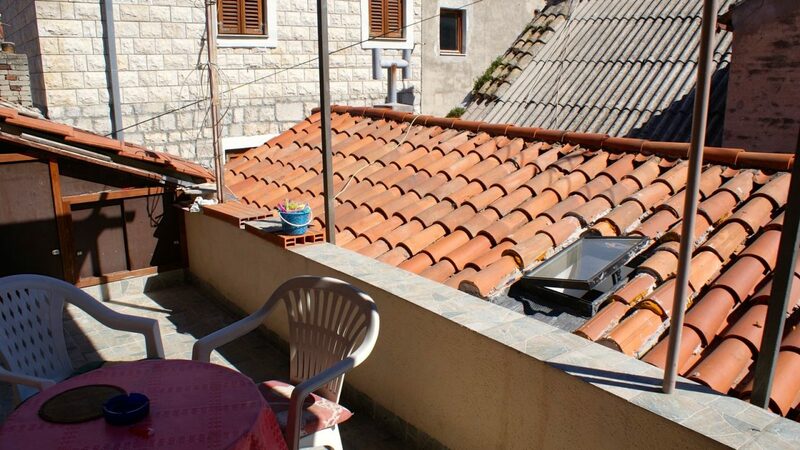 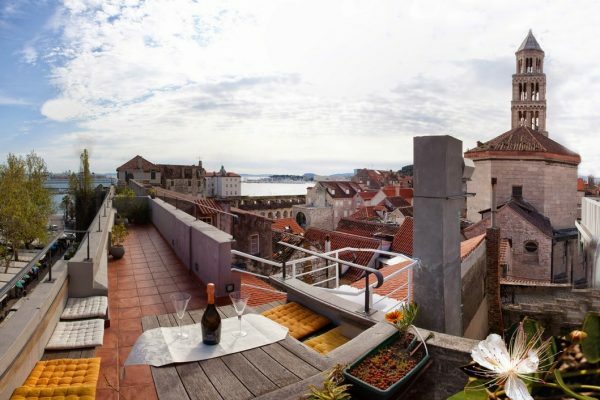 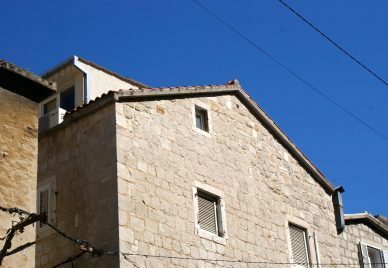 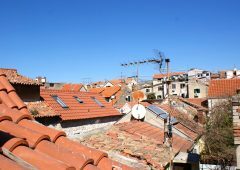 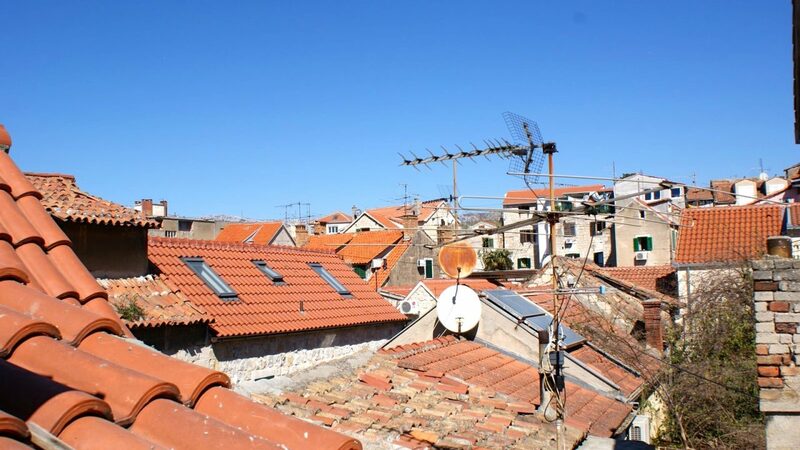 ST0734 – Renovated maisonette apartment for sale Split, overlooking the historical old town. 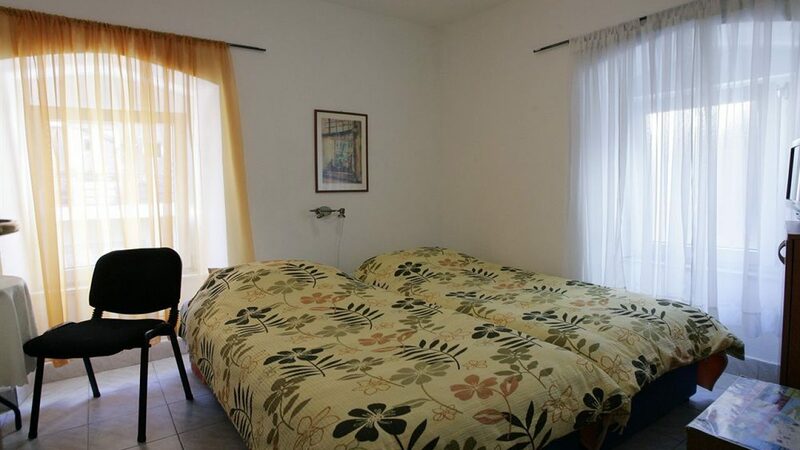 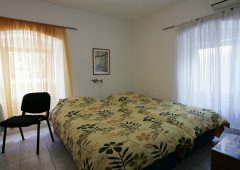 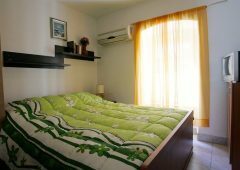 The apartment spreads over the second floor and attic of a charming stone townhouse, only 200m from the eastern wall of the Diocletian’s Palace. 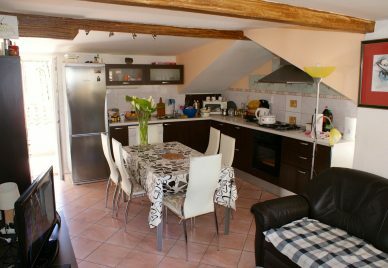 The first level consists of a hallway, four bedrooms, and four bathrooms. 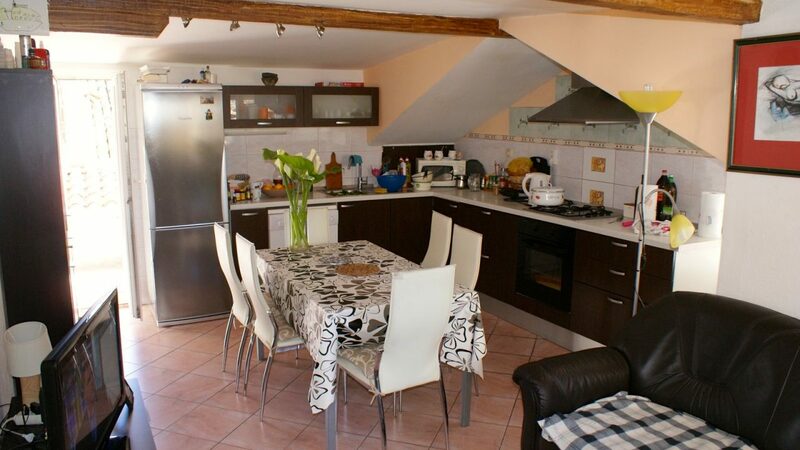 The attic features a kitchen/dining/living area, bathroom, two bedrooms and a balcony. 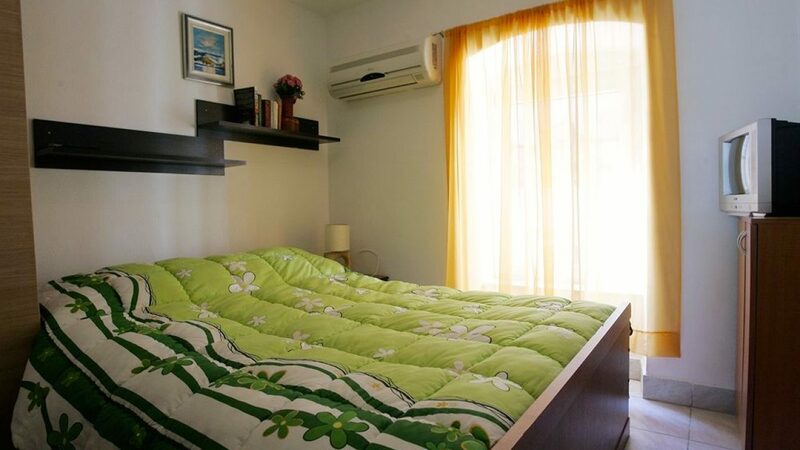 Both levels are air conditioned. 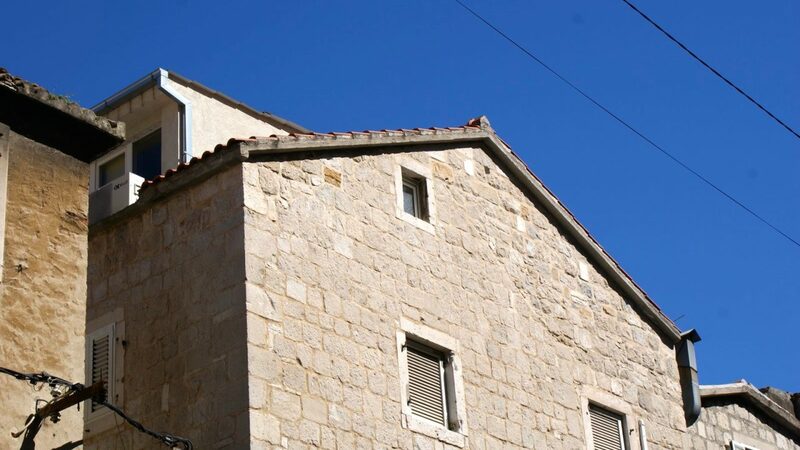 The first level has been rented out to tourists, generating over 20,000 Euro profit per year.